It’s our big 20th episode! We’re going to sit down for a chat with Neel Natu and Peter Grehan, the developers of bhyve. Not familiar with bhyve? Our tutorial will show you all you need to know about this awesome new virtualization technology. 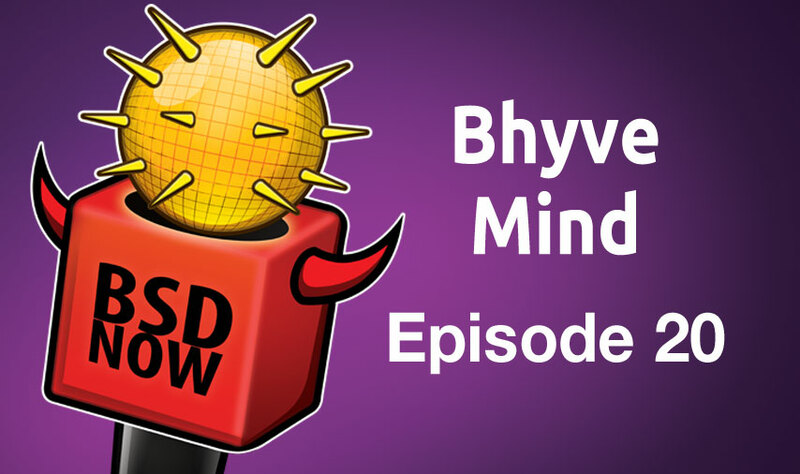 Answers to your questions and all the latest news, here on BSD Now – the place to B.. SD. It’s been tagged -RELEASE in SVN already too! iX doesn’t just make big servers for work, they also make little servers for home. The FreeNAS Mini is a compact little rig that will take up to 4 drives and makes a great home storage server. + Could you tell us a bit about yourselves and how you first got into BSD? + What’s your current roles in the FreeBSD project, and how did you get there? + What exactly is bhyve and how did the project get started? + What is the current status of bhyve? What guest OSes are supported? + What bugs remain when running different guest OSs? + How is support for AMD hardware virtualization progressing? + Is there any work on supporting older hardware that does not have EPT? + What will it take to be able to boot FreeBSD root-on-zfs inside bhyve? + Any progress on a ‘vfs hack’ to mount/passthru a file system (zfs dataset?) from the host to the guest, a la Jails? + How is the performance? How does the network performance compare to alternatives? How much benchmarking has been done? + When is VGA support planned? + When might we see Windows (server) as a guest? What else would be required to make that happen? The developer is looking for testers on other operating systems! PBI load times reduced by up to 40%! what!!! Reminder: Our tutorial contest is going until the end of this month, check bsdnow.tv/contest for info and rules, win a cool BSD pillow!